Boxing is a great way to get really fit, learn hand-eye coordination, and learn realistic self-defense. But before starting class, you will need to pick up some equipment needed for boxing. Luckily, getting started with boxing doesn't have to be too expensive. Below is some equipment you need to start boxing classes. 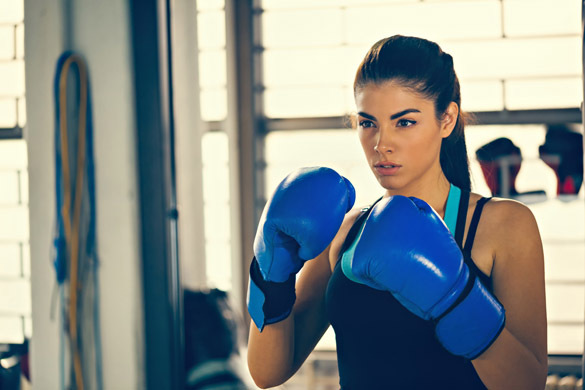 The most basic need is boxing gloves and hand wraps but if you are serious about training it as a martial art, you might want to consider investing in the other things on this list. Those just starting out in boxing may possess only one pair of boxing gloves for everyday training. If you aspire to compete in amateur boxing matches or beyond, it is important to increase the boxing gloves options available to you. 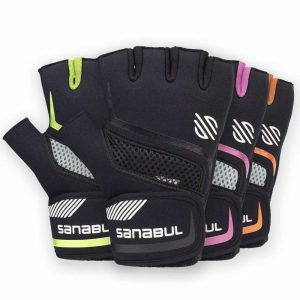 Below are three gloves to use in specific scenarios. But no matter what gloves you get, be sure to air and/or deodorize your gloves after every use. If you don't the smell is hard to get rid of. Training gloves are boxing gloves designated for everyday in-class activities, such as hitting mitts and heavy bags. These types of gloves are typically dependent on the user’s weight and size. The chart below is a helpful guide for choosing the appropriate size. Size chart for training gloves. As you become more immersed in the combat sport of boxing, incorporating sparring into the training regimen will evolve your skillset. Sparring gloves are commonly constructed with softer foam padding to provide additional protection for your hand and soften the impacts for your training partners. Boxers will frequently purchase a separate pair of boxing gloves to use only for sparring in order to preserve its protective features. Otherwise, the usage of sparring specific gloves for boxing class will speed up the deterioration of its padding. Competition gloves are the smallest of the three types of boxing gloves mentioned here. Individuals enthusiastic about competing should look into the local tournament or whatever competition they intend to participate in and follow their guidelines to determine what size gloves they need to buy. Before grabbing the boxing gloves and jumping into class, boxers typically wrap their hands with a long piece of fabric to protect their hands and wrists during boxing. These hand wraps will thoroughly cover your wrist, palm and knuckles. In doing so, they will help prevent damage resulting from the punches thrown. Many boxing gyms require members to wear headgear during sparring sessions. These headgears are available with different features as shown in the image below. Comparatively, the headgears variation in design consist of tradeoffs between protection and hindrance to your vision. If you intend to compete in amateur competition regulated by the USA Boxing Association, they will only allow you to compete in headgears approved by them. These approved headgear will have a special tag sewn in the back or side of the headgear like the first two headgears displayed above. If you don't know what kind of headgear you should get, you should take our quiz to find the right headgear for you. A groin protector is another protective gear recommended for those planning to spar and/or compete. They vary in size and level of protection just like headgears. The smaller more minimal groin protector pictured on the right may be more comfortable and less hindrance to your movement, but will not offer the same protection as the groin protector on the left. When you are starting boxing classes, traditional athletic shoes are perfectly fine. As you become more committed to boxing, it may be a worthwhile investment to purchase a pair of boxing shoes. 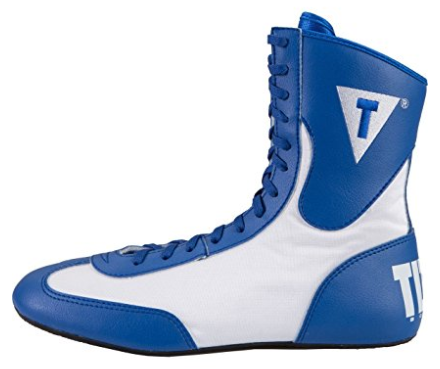 Boxing shoes are very light shoes that combine a unique level of traction and ankle support that is not offered by the other athletic shoes. Below are two examples of these types of footwear. 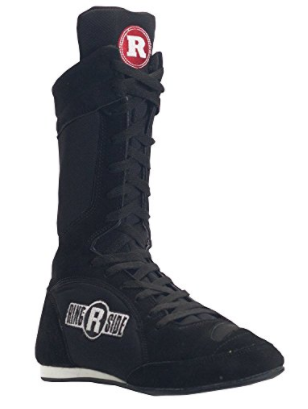 If you are looking for what a recommendation, we recommend the Ringside Diablo Boxing Shoes. They are low-top ankle shoes that are lightweight, relatively comfortable, and long-lasting. Mouthguards are critical for protecting your teeth from the impact felt by getting punched. Additionally, it also prevents the inside of your cheeks and lips from becoming cut as well. Even if you do not want to break the bank for a custom fitted mouthguard, you should at least consider purchasing the cheaper, but still protective, boil-and-bite style mouthguard. Two different options of boil and bite mouthguards from Shock Doctor. Jumping r​​ope is a cardiovascular activity that is a mainstay in boxing gyms and commonly used for warmups. 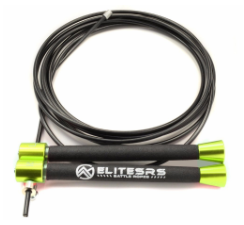 Consistently jump roping will develop your coordination and footwork. These skills are beneficial to your overall boxing ability. So there you have it, the boxing training starter kit. These are the things you should get if you plan on training boxing. And if you do get really into boxing, you can get some more boxing training tools.